UNPO has released a Briefing Note focusing on the Haratin, highlighting the fact that about 20 percent of Mauritanians – i.e. 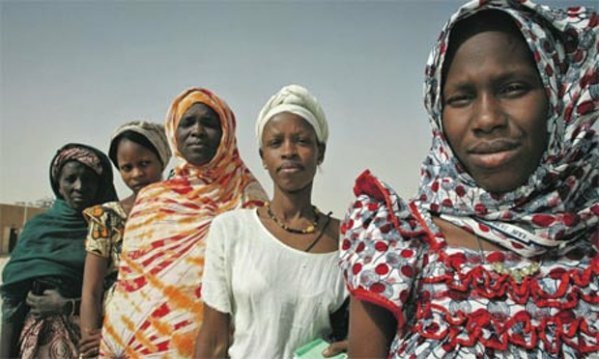 half of Mauritania’s Haratin population – are de facto slaves. The overwhelming majority of slaves are women and children who are “inherited” by slave-owning families from one generation to the next. Due to a persistent culture of denial among the ruling elite and the authorities most attempts to raise awareness of the practice are stifled, while abolitionist activists are systematically silenced and persecuted. Mauritania criminalised slavery in a landmark 2007 Anti-Slavery Law under considerable international pressure. However, the law inadequately defines slavery and provides no initiative to support freed slaves in building a new life. The enforcement of these laws is further undermined by the requirement that slaves must file legal complaints themselves to trigger prosecution, as NGOs are not allowed to make complaints on their behalf. Since the act does not include any measure for publicising its provisions to the general population, many Haratin have never heard of the law criminalising slavery, are still unaware of the abolition of slavery, and regard the practice as normal. In 2011, the first conviction under the Anti-Slavery Law was made, but only a handful of cases have been to trial and resulted in convictions since. Indeed, the government’s measures against slavery have been largely symbolic. Haratin human rights defenders try to raise the profile of the issue of slavery through advocacy and lobbying, as well as attempts at implementing actions to urge the authorities to enforce existing legislation. Anti-slavery activists and human rights defenders in Mauritania are regularly met with a lack of cooperation and even repression from the authorities. Although grassroots NGOs seek out the enslaved and, with their consent, bring many to the authorities, instead of redress they often face arrest, physical abuse and detention on false charges. The leaders of peaceful sit-ins and demonstrations protesting the failure to observe the Anti-Slavery Law are particularly targeted with violence and intimidation, and report receiving death threats and being put under surveillance. The authorities also refuse anti-slavery NGOs the ability to register as official civil society organisations, in addition to attempting to infiltrate and co-opt anti-slavery NGOs through bribery or other means. UNPO condemns slavery in all its manifestations and deplores its practice as a violation of the fundamental and basic human rights enshrined in international law. This abhorrent practice prevents people from leading a dignified life, taking away their freedom to participate politically and to decide their cultural and economic direction and destiny. The Haratin are discriminated due to archaic traditions which date back hundreds of years and are not conducive with accepted international democratic values and principles and international law. To view and download the briefing note, please click here.